Located on the Adriatic coast, the Bojana/Buna River is shared by Montenegro and Albania. It contains the most important wetlands of high ecological value in the Eastern Mediterranean. Actions are needed to preserve these ecosystems that are home to rare and endangered species. 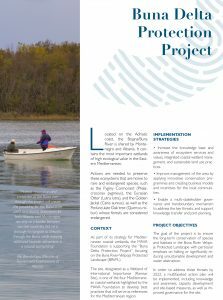 As part of its strategy for Mediterranean coastal wetlands, the MAVA Foundation is supporting the “Buna Delta Protection Project’’ focusing on the Buna River-Velipoja Protected Landscape (BRVPL). 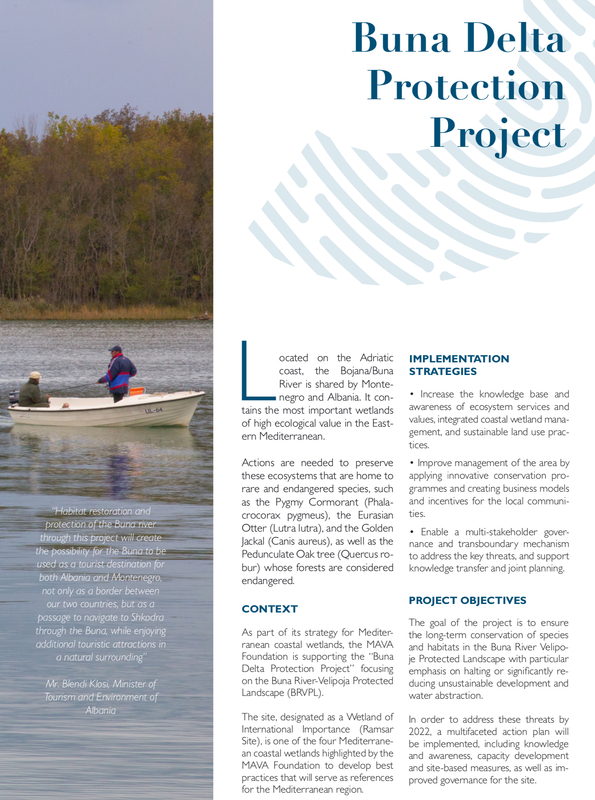 The goal of the project is to ensure the long-term conservation of species and habitats in the Buna River Velipoje Protected Landscape with particular emphasis on halting or significantly reducing unsustainable development and water abstraction.